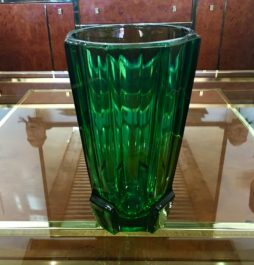 Mid-Century Vases | Interior Boutiques – Antiques for sale and mid century modern furniture, french furniture, antique lighting, retro furniture and danish furniture. 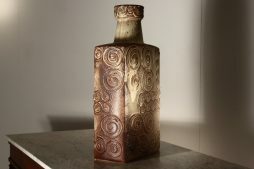 Large 1950’s German ceramic vase. 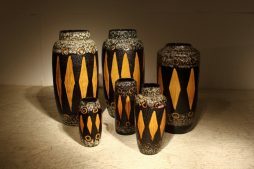 Set of six German glazed terracotta pots. 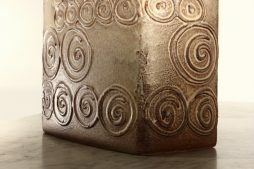 Wonderful decoration. 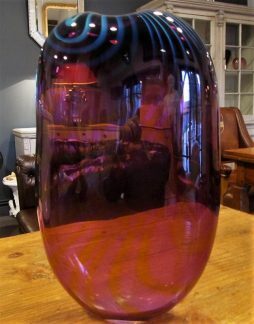 A stunning tall and flat Italian Murano art glass vase with iridescent amethyst and blue colouring signed to the base in perfect condition. 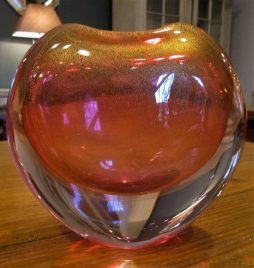 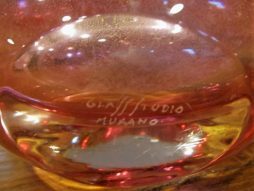 A beautiful Italian Mid 20th Century Murano Sommerso art glass vase with clear glass peach glass and real gold flecks in 100% perfect condition signed to the base. 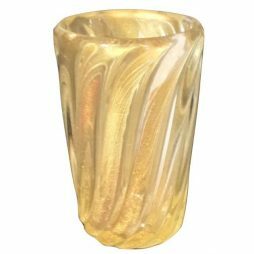 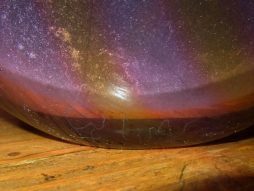 Original 1950s Large Murano Glass Vase Hand Blown with Gold Inclusion by Archmede Seguso.